1m ST - SC OM1 fibre optic cable, dual molded ST to individual molded SC connectors, grey jacket and 62.5/125 core. 0.5m network cable CAT5e UTP. 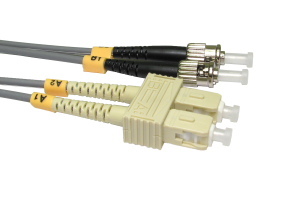 CAT5e specification patch cable with moulded connectors. UTP unshielded twisted pair network cable. Suitable for 10BaseT, 100BaseTX and GigaBit Ethernet. RJ45 network plug each end. 1:1 wired for for connecting a PC to a hub, router, network switch, print server, patch panel, etc. Colour: Light grey. 1m ethernet network cable CAT6 UTP. CAT6 specification patch cable with moulded connectors. UTP unshielded twisted pair network cable. Suitable for 10BaseT, 100BaseTX and GigaBit Ethernet. RJ45 network plug each end. 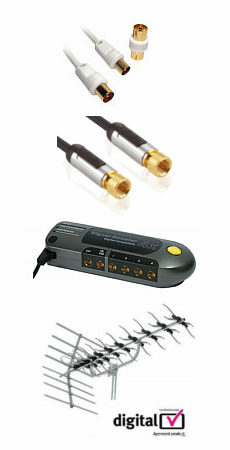 1:1 wired for for connecting a PC to a hub, router, network switch, print server, patch panel, etc. Colour: Light grey.